Dress for picking with sun screen, hats, and closed toed shoes. Consider wearing long sleeves if the serrated edges of leaves tend to irritate your arms, and note that dark colored clothes will hide the inevitable juice stains. Be sure to check for ticks when you get home. Produce supplies can vary daily based on the weather and number of people picking. We update our website and Facebook page daily during the season, so you can check on crop conditions before you come. Plan a Weekday Afternoon Visit Shhhh… The best kept secret around here is to visit on Weekday Afternoons when we are least busy. Take an afternoon off or come after school and enjoy the farm at an easy pace. Visit Saturday or Sunday Mornings right at opening for the least busy weekend time. If you plan to arrive on a weekend afternoon, please call the farm to check crop status. Wagon rides take guests to and from the fields, so plan for some extra time to sit back and enjoy the ride. The wagon runs regularly throughout the day. The first wagon goes out 15 minutes after opening and the last wagon goes out 1 hour before closing. Times will vary throughout the season but we run them regularly based on the number of guests visiting. Feel free to call the farm office the day you plan to come. We suggest bringing a cooler to preserve the freshness of your produce. Dogs are welcome to join your family on the farm, please keep on a leash. For health and safety reasons they are not permitted in the U-pick fields. Feel free to take Fido on the wagon ride and then have a family member or friend hold the leash by the wagon while you are picking. Please clean up after your dog. Berries are fragile and need to be kept cool. Please bring a cooler with ice to store your berries if you plan to stay at the farm and play after picking. Feel free to bring a picnic and a blanket to toss on a shady spot to enjoy your lunch. Picnic tables are first come, first serve. “Wine” a Little! No other Northern Virginia Pick Your Own Farm offers 10% off craft beverage purchases with your admission wristband. 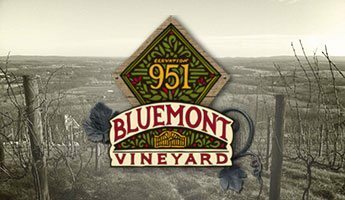 Pick and then visit Bluemont Vineyard or Dirt Farm Brewing across the street. For a less crowded tasting experience, start your day with lunch at one of these mountain locations above GCF and then come down to the farm to pick and play later in the afternoon. Cider Donuts are made Tuesdays-Sundays. Don’t miss this farm favorite! Yes, on a leash please. For health and safety reasons they are not permitted in the fields. Be sure your dog is comfortable with crowds and children if you are coming on a festival day. We do ask that you clean up after your pet in all areas of the farm. Do I have to pay admission if I only want to U-pick? Yes, for a few reasons. First, access to our U-pick fields is via wagon ride which enables us to know when folks are in the field and to clear the field if weather is threatening. Second, most folks who visit our farm also visit the farm animal barnyard, Cow Pie Putt, go fishing and enjoy the play area. A full day of fun on the farm is less than a 90 minute movie ticket! Our guests are welcome to shop in the Farm Market for fresh produce (available from late May-October) and other items without paying admission. Do I have to ride the wagon to U-pick? Yes. This helps us guide guests to the proper picking locations and move guests out of the fields quickly and safely in the event of a sudden storm. Our wagon drivers are a wealth of information and support. The wagon runs regularly throughout the day. What time are the wagon rides? The first wagon goes out 15 minutes after opening and the last wagon goes out 1 hour before closing. Times will vary throughout the season but we run them regularly based on the number of guests visiting. Feel free to call the farm office the day you plan to come. Do we need to bring our own containers? No. We provide containers for pick your own produce. Guests are welcome to bring their own containers as well, but do bring them in when you pay admission so that we can weigh them to deduct the weight from the final purchase. We encourage you to bring a cooler to protect the freshness of your produce. No. We are not certified organic but grow many of crops without synthetic chemicals. All of our Strawberries, Blackberries, Blueberries and Raspberries are grown without synthetic chemicals. The orchard fruits are generally treated in bud and as needed to ensure yields and quality. We are working to use only treatments approved for organic growing. The CSA garden is treated only when pest pressure arises and is synthetic fertilizer and herbicide free. We use many sustainable growing practices including plasticulture, companion planting, shade planting, crop rotation, cover crop plantings and lots of hand weeding.